Kuo-Chun Ku, intern. Photo by Jaime Sweany. 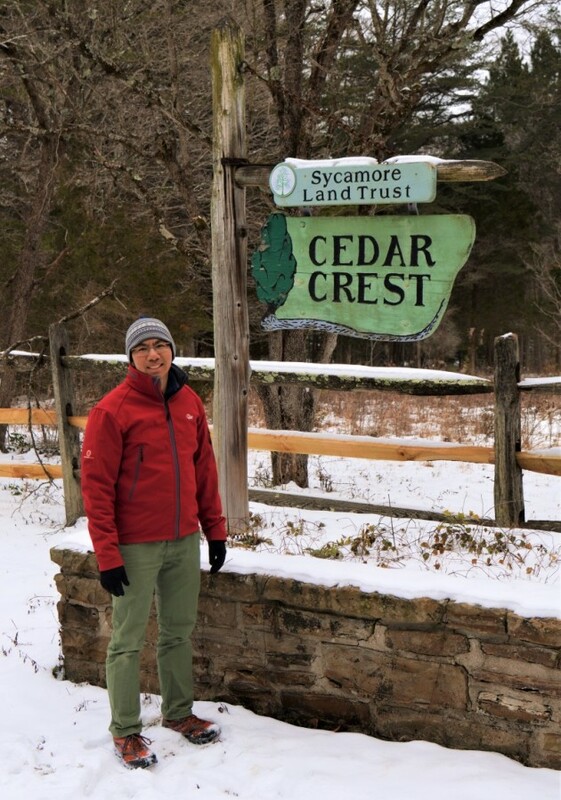 Kuo-Chun Ku came to Sycamore Land Trust last November eager to volunteer his skills for our organization. His internship puts his varied experience to work, providing each program director with invaluable support. “I am really glad to have this wonderful opportunity to volunteer in Sycamore Land Trust to learn and serve. Actually, I have always wanted to join an organization that not only preserves the landscape but also reconnects people and nature together. I got my master’s degree through the School of Public Health at IU, majoring in Outdoor Recreation, so it is really nice that I can intern here and apply what I learned in graduate school. After my internship, I would like to bring these valuable experiences back to Taiwan to develop better environmental education. Currently, I am helping with office jobs most of the time, and I am looking forward to the coming of spring and having more opportunities to work outside and provide my expertise in some environmental education programs. 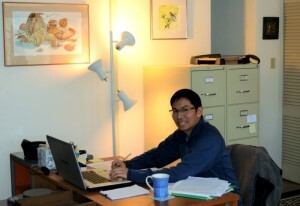 Kuo-Chun Ku working hard at Sycamore’s office. Photo by Jaime Sweany. Kuo-Chun’s wife, Pei Chin, has a master’s degree in Environmental Education and also volunteers during Sycamore special events. Their adorable children Lan-Lan (6 years old) and Mao-Mao (4 years old) pitch in whenever possible. 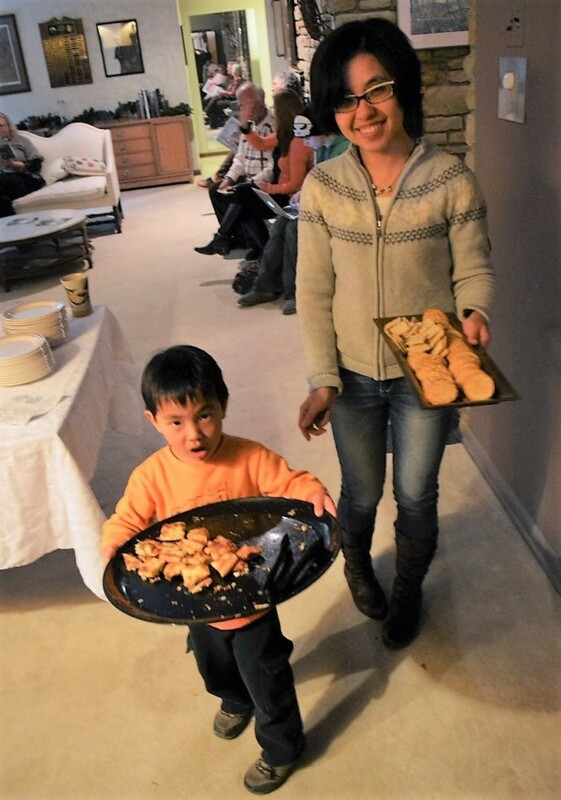 They offered great help during our Holiday Open House last December. Thank you to Kuo-Chun and family! 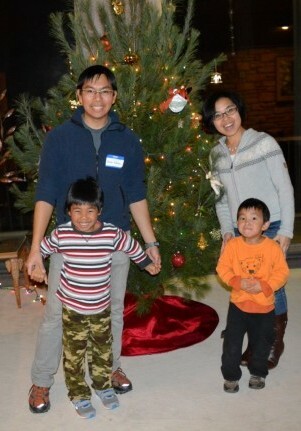 Kuo-Chun Ku, Pei Chin, and their children Lan-Lan (age 6) and Mao-Mao (age 4) volunteering at Sycamore’s Holiday Open House, December 2015. Photo by Jaime Sweany. What a great little helper! Mao-Mao works with his mother, Pei, to help clean up at the Holiday Open House. Photo by Jaime Sweany.